One of my favorite architectural books is Old American Houses, 1700-1850 by Henry Lionel and Ottalie K. Williams. Henry and Ottalie Williams were a Bloomfield, Conn. couple who restored and lectured on old houses at a time when the idea of restoring old houses for their intrinsic value was fairly new. Like HGTV’s Chip and Joanna Gaines, Henry and Ottalie Williams created a cottage industry around their restored houses, which appeared in magazines and books, and inspired many thousands to restore an old house themselves. While the word shiplap is not used, the couple both restored houses and collected furniture and regional objects, just like the Gaineses. Henry Lionel Williams (1894-1974) was a native of England who, alone and with his wife Ottalie, wrote over 50 books on buildings and furniture. He was interested in a vast number of subjects, including aviation. His 1974 New York Times obit described that his works even extended to two histories of the head-shrinking Jivaro Indians of South America. With his wife Ottalie Kroeber Williams, he wrote books on historic houses, both practical and picture. Henry Williams was also an advocate of maintenance of houses, contending that a few minutes each week would save money. Ottalie was described in the overleaf as an authority on architecture and antiques. One of their biggest books also pre-figured another current area of cable tv fascination, the tiny house. The couple in 1964 published America’s Small House, a coffee table book feature the glories of the little residence. Houses included those of Mr. and Mrs. Kenneth Chorley of Colonial Williamsburg, antiquarian Hatfield Ellsworth and interior designers Mrs. Truman Handy, Elmo Avet and Michael Greer. Most fascinating in the book is the stylish one-room log cabin retreat of television entrepreneur John W. Kluge from his Virginia farm. This one room building may or may not be part of the current Trump Winery; we hope someone can fill us in what happened to it. There were others in a group of many hundreds of New Englanders that restored houses after World War II. 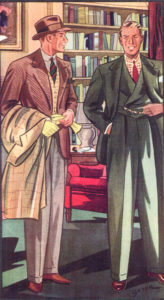 Unlike Chip and Joanna, Henry and Ottalie had many wealthy, educated Americans as customers, and they already had good collections and taste before they encountered the Williams. In an era just before hippies and the Whole Earth Almanac, they flourished in the intellectual and artistic areas of rural New England, where writers like Eric Sloane were busily documenting the heritage of the countryside. 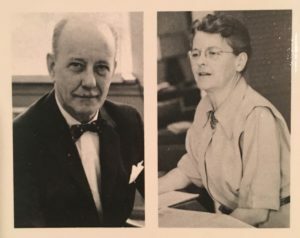 Mentioned and photographed in the book are the houses of Jo and Larry Fellows, Rebecca and Fred Jones, Pat and Jack Knecht, Roberta Fay and Muriel and Fred Baker. Not sure who these folks were, but I am interested if any people know more about their restoration projects. The introduction gives a number of good ideas for restorations; it is a guidebook on how to do it properly, without destroying the original. Some advice is actually useful today, not so much with the Gaines, who try to save what is interesting, but in some of the other property shows that tend to pull out interesting features at whim. The more that can be preserved of the original dwelling, the more interesting will the remodeled house be. The ‘cute’ is but a short step from the quaint, and the ridiculous from the permissible. To salvage such a house is a privilege. To do the job as it should be done, ….is an opportunity to be sized in a spirit of dedication to a worthy cause. No old fashioned kitchen is improved with rows of ceiling cupboards and expanses of white enamel. No old house is better off for a model, hotel-style bathroom any more than the old keeping room is helped by being filled with modern furniture. Pine and paint can be used to subdue the gear and gleam. Apart from all this, a campaign of education and enlightenment among home seekers is urgethly required. People who buy these old houses should have pointed out to them that they are the privileged custodians of national cultural assets that they have no moral right to fritter away and destroy. In a day when there is so much ugliness and unrest in the world, these dwindling Old American Houses of wood, brick and stone, should serve to remind us of a glorious past and stand as a monument to craftsmen who bequeathed to us a heritage of which we can justly be proud. Part of the approach of the book was a typical feature of Chip and Joanna Gaines, namely the “before and after” photo. Below, a “before and after” of an old New England kitchen. Perhaps today, the Hardwick Bluebelle stove would have been saved, and the bookshelves and the farm sink shelved. Perhaps the library is a bit frumpy in the black and white photo, but it does look inviting and better than the exposed boiler of the old kitchen.